We've arranged especially good evening meals with opportunities to sample both gourmet and local delicacies. Our hotels, which are all family-run, pride themselves on their Provencal cuisine and cellars full of fine local wines - one of which is located between the three world-famous vineyards of Beaumes de-Venise, Gigondas and Vacqueyras. The town fete takes place in Vaison from 13-17 July. Join in the fun or come at a quieter time! Your *** hotel is just north of the village of Pernes-les-Fontaines. Plenty of time to relax and explore the hotel grounds before dinner. Leave Pernes-les- Fontaines this morning and head to the popular village of Saint-Didier, where you can opt to make the climb up the hill to the mediaeval settlement of Venasque (one of the prettiest villages in France) with its three Saracen towers. You'll then follow lanes and tracks up past Malemort-du-Comtat and then dropping down into the mediaeval village of Mazan with its church wall that is made up of more than 60 Roman sarcophagi. Continue on through the vines with a back drop of Mont Ventoux as you climb steadily towards Bedoin. Explore the lively village of Bedoin, named for the C8 Bedouins who settled there and home to the imposing church of Saint-Antonin, with its unique Spanish style - so different from any other in Provence. Bedoin is also the gateway to Mont Ventoux for more hardy cyclists seeking a challenge! Follow established cycle routes to the Chateau Pesquie, which offers everything from a stroll in the vines, to a guided cellar tour, to a tasting, to a full picnic lunch in the gardens. After the picturesque perched village of Crillon-le-Brave you swing across the gentle Carpentras plain to Caromb, a partly fortified little town. A short, steep ascent takes you to the Lac du Paty, hidden amongst the trees. Continue downhill through forest, vineyards and cherry orchards to the fortified village of Malaucene (where Pope Clement V once lived). The final section is a flat bowl along country lanes to the Roman garrison town of Vaison la Romaine. Vaison has France's most extensive Roman remains including a 6000-seat theatre, baths, houses and streets. There's a fine C13 cathedral and cloisters, castle ruins and fortified gateway, and squares with cool central fountains. The two halves of the town are joined by a 2000-year-old single arch Roman bridge which, amazingly, is still in use; it's well worth crossing to explore the narrow mediaeval streets and little squares of the Haute Ville. Today it's via Roaix and across the Ouveze River to mediaeval Seguret - officially ranked among the most beautiful villages in France; its streets hug the slopes of the Dentelles de Montmirail. There's a C15 fountain, a C14 belfry and a ruined feudal castle offering far-reaching views out across the Rhone Valley. Then it's on through pretty Sablet and extensive vineyards to our friendly little hotel near Vacqueyras. Orange, a thriving regional centre, is 20km away. 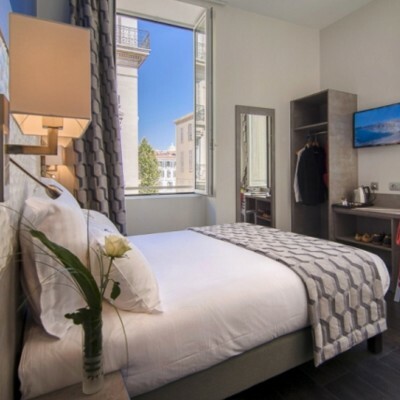 It has two marvellous UNESCO World Heritage Sites, an elaborately decorated triumphal arch and a beautifully preserved Roman theatre which hosts regular evening performances; your hotelier will help organise a taxi. Alternatively, why not simply relax by the hotel pool? Your final day's cycling takes you through the Cotes du Rhone vineyards, stops first at charming Vacqueyras where there are lots of caves. From here there's an optional detour to mediaeval Carpentras - with a cathedral, atmospheric cobbled streets and weekly (Fri) market - before returning to fountain-filled Pernes-les-Fontaines. 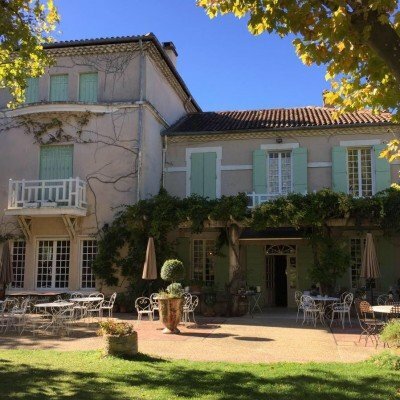 Set among the pines at the very foot of Mt Ventoux, and just outside the lively village of Bedoin (popular among cyclists as the gateway to the mountain), is Hotel des Pins. 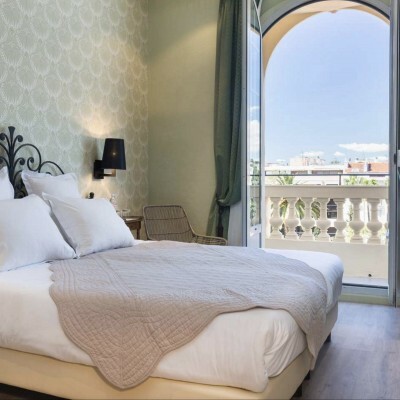 This property perfectly blends the traditional and the modern with the outside boasting wooden shutters and a terracotta tile roof while inside each of the stylish rooms and suites are individually decorated in a contemporary style. Some have 4-poster or canopy beds, while upgraded rooms add balconies or terraces. There's also an elegant restaurant along with a bar, a lounge, and a patio. Other features include pine-shaded gardens, an outdoor swimming pool and a space for massages. Room upgrades: Confort / Prestige Room , Suite (Junior/Deluxe/Seven) or Suite (Cerise)	. Prestige rooms have a balcony or terrace, twin beds or a double bed, and a bath. The Cerise suite is made up of two connecting rooms, and can host up to five people. It also features a balcony and a large wooden terrace. The Junior suite stretches over two floors, with a bedroom on the ground floor, and an elegant bathroom with a bath on the first floor. Deluxe Suite comprises an elegant bedroom and a bathroom with a ceiling shower. This suite also boasts an attractive wooden terrace and a Bang & Olufsen music player. 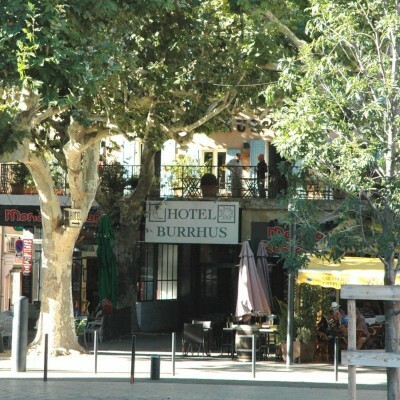 The Hotel Burrhus boasts a fantastic location, right in the very heart of Vaison la- Romaine. 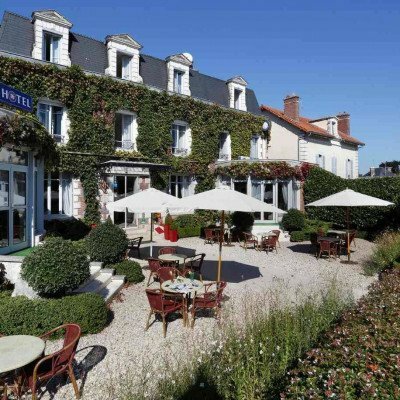 This hotel was originally a maison bourgeoise until it was converted into a hotel by an ex-patissier! It has now been in Mme Ramise's family for over 45 years. The hotel only provides breakfast, although a la carte room service is possible (very reasonably priced and a good selection of hot and cold dishes). 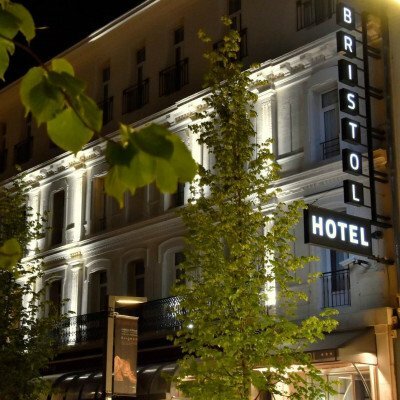 However, it's fun to explore the lovely town of Auxerre and there are plenty of good restaurants in all price ranges within 5-15 minutes walk. There's a public swimming pool in the town and a sauna at the hotel (approx 7€). There is a secure closed garage behind the hotel (5€ per day) or free parking in front (ask at reception). The Privilage room has a very spacious bedroom with king size bed. Transfers included from Avignon TGV train station at 13:19, and back to Avignon TGV train station at 11:45. This was an excellent holiday through lovely countryside. The route was hillier than we had expected for a 1+ bike rating but the day mileages were short so it evened out. For those of us aged over 70 and with a temperature of 33C, the climb out of Caromb on Day 4 was indeed memorable! But there were some lovely long descents to compensate. We had no problems finding coffee and lunch stops as there were lots of bars and cafes en route, even on Sundays and Mondays. Accommodation was mixed, as always with Headwater, but every hotel had its excellent upsides. We spent two extra days in Vaison and took the bus into Orange on one of them to see the splendid Roman theatre there. 10:03 from the top of the road beyond Tourist Info, the journey takes an hour and there are buses back at 16:15, 17:15 and 18:15. Due to the tailor-made nature of our holidays, we need a little more information in order for us to check availability for Vineyards of Vaucluse Cycling. Simply complete the form below and a member of our sales team will contact you (when it's most convenient for you) to provide availability information, travel options and an accurate price. Of course there's no obligation, but if you do wish to proceed with a booking they will be on-hand to assist you throughout the process.